Search Engine Optimization (SEO) improves a website's placement on search engines and can make your website appear on the very first or second page of a search engine's listings for relevant keywords. At BIGEyes Marketing we offer unmatched SEO services to optimize your website and achieve placement in the organic (free) listings of many of the top search engines. At BIGEyes Marketing, we take the complexity out of Search Engine Optimization (SEO) and simply deliver organic SEO services that place your site at the top search engine rankings for Google, Yahoo, and Bing. Instead of confusing you with lengthy proposals filled with technical jargon that you may not completely understand (i.e. W3C validation, robots.txt, header tags, authoritative directories, base feeds), we keep things simple and straightforward and deliver our value by increasing your page rankings based on 10, 25, and 50 keyword options. Our SEO proposals are comprehensive yet easy to understand. You will feel confident in purchasing an SEO package from BIGEyes Marketing. Based on the options below, you get exactly what you see (no hidden fees, charges, or long term contracts). Over 90% of our clients see real progress and ROI well within their first 6 month engagement with us, and thus continue to retain our services. Although our package options are simple to understand, we implement advanced SEO algorithms and methods that are proven and are supported by our customer reports that show significant progress for the rankings of their search keywords. Furthermore, our low cost SEO model eliminates the risk of spending thousands of dollars with no return. For a low monthly fee, we complete many of the same SEO services that other companies claim to deliver but they charge thousands of dollars per month and force you into long term contracts. By selecting SEO services from BIGEyes Marketing, you have very little to lose and much to gain. Sign-up for one of our SEO packages below and start seeing immediate results. 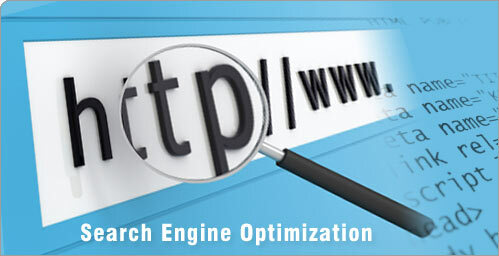 Click here to review the complete details of our SEO services. Also includes Reports, Web 2.0, Local Search, Website Conversion Tracking, Usability Tools, RSS Feeds, Sitemaps, and Tech Support.